Black Oak’s single-row S-Series light bars emit an amazing amount of light from a sleek, slim profile. Their 6-inch model is the shortest in the series, but never fails to bring a satisfied smile the first time you switch it on. Its six U.S.-made Osram 5W LEDs feature top-of-the-line brightness, efficiency and reliability. Just 30 Watts of power in blasts out over 3,000 raw lumens via computer-designed optics. Three beam patterns are available when you order: Spot, Flood or Combo. Like all Black Oak products, this seemingly modest light bar earns the highest dust and moisture intrusion rating possible: IP69K. It features a beefy aluminum housing with integrated oversize heat sinks, an unbreakable lens and computer-designed optics to push every photon forward. This high-value light bar comes with a full, waterproof wiring harness and stainless steel mounting hardware, so it is ready to go right out of the box. 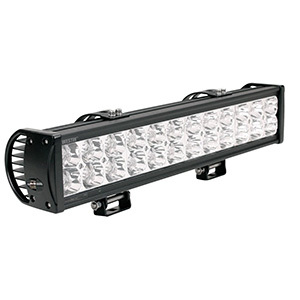 This compact, 2-inch high, S-Series single-row 6-inch light bar fits almost anywhere. 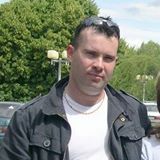 Most buyers mount a pair on the front of their vehicle or one forward, one backward on their ATV or UTV. Add a yellow lens to pierce fog, mist or dust. The most popular beam pattern is the combo because of its excellent forward penetration and side lighting, but the spot beam option is excellent for hazard or game spotting. The build quality is superb, it arrives with everything needed for mounting and it is all backed by Black Oak’s lifetime warranty. Black Oak’s S-Series 6-inch light bar is dynamite in a small package. Thirty watts of daylight-bright white light make these ideal for illuminating job sites, campsites, trails and dark highways. 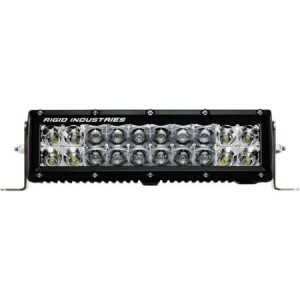 You simply cannot find a better made or brighter light bar for even twice the price. If you are interested, you can read more detailed review here. The watt-per-lumen efficiency of the twenty 5W Osram LEDs in Black Oak’s single-row, 20-inch light bar meets or exceeds that of any competitor’s product. 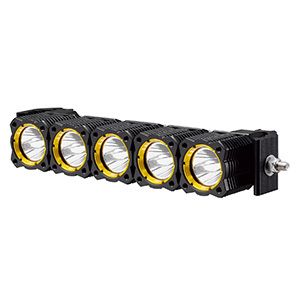 Thanks to quality LED driver circuitry, double-area heat sinks, and a rugged IP69K housing, this high quality LED light bar is practically guaranteed to exceed its 50,000 hour lifespan rating. The 20-inch S-series light bar is a popular choice for grill, rack or tailgate mounting. It comes with a complete wiring harness that includes relay, switch and fuse plus Deutsch waterproof connectors. Black Oak backs up this light bar with a no-questions-asked 30-day money-back guarantee if you are at all dissatisfied with its performance. The first time you throw the switch on this 20-inch light bar, stand back. It makes cheap Chinese knock-offs look like a AAA-powered flashlight. The spot version reaches out over a kilometer, the void-free flood pattern sets awash your entire field of view and the combo version is an ideal all-round light bar for any application. The 2-inch profile blends into most vehicles’ contours and practically eliminates air resistance. Most buyers are impressed by the heft of this light bar and the obvious high-quality build when they take it out of the box. It is a light bar that can handle anything the trails dish out. Black Oak’s 20-inch single-row light bar is one of their most popular products. The convenient size, daylight brightness, rugged, waterproof build and industry-leading performance at an affordable price all spell “sweet spot” for any job it takes on. Black Oak’s 30-day guarantee and lifetime warranty is icing on the cake. If you are interested, you can read more detailed review here. 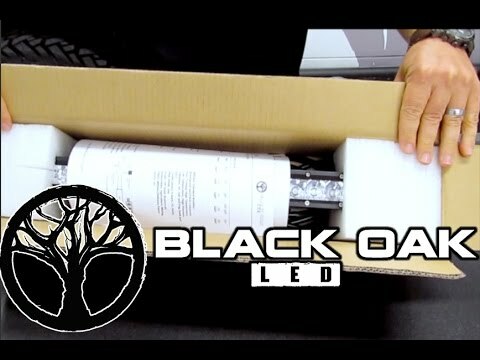 Black Oak’s longest single-row LED light bar is a 250 Watt showstopper of brightness. Fifty high-quality, high-output Osram 5W LEDs put out nearly 23,000 raw lumens of night-crushing light in any beam pattern you choose: Flood, Spot or Combo. 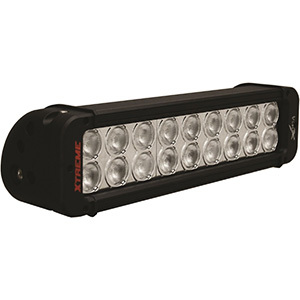 The top-bin LEDs, the tough-as-nails housing and lens, the powerful electronics and the highest possible dust and water intrusion rating all combine to make this the best 50-inch, single-row LED light bar money can buy. You get all that performance at half the price of the competition. Of course, it comes with Black Oak’s lifetime warranty against defects, a turnkey IP69K-rated wiring harness and mounting hardware. When buyers describe this 50-inch light bar as “insanely bright,” they are not engaging in hyperbole. The spot beam leaps out two kilometers ahead, but you would have a hard time outrunning even the flood beam with this light bar. 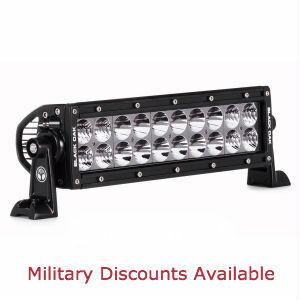 It is a sensational-looking, low-profile light for rack or windshield mounting. It superbly illuminates the darkest highways, canyons or waterways. Its industry-leading IP69K intrusion rating means it is safe anywhere from the desert to the forest or on the water. IP69K also applies to the wiring harness as well. It comes with adjustable stainless steel mounts and installs in no time at all. Black Oak’s 50-inch single-row S-series light bar takes brightness to new levels. This is a light bar for those drivers who want to wash away the gloom big time. Take it anywhere, anytime without worries due to its exceptional build and performance. It will likely outlast your vehicle. It is that good. 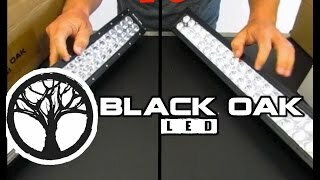 You will be blown away at how much LED light bar value your dollars buy at Black Oak LED. If you are interested, you can read more detailed review here.